We bought a house in 2014 and I got a little craft room in here as well. It is not a huge room, but it is all mine, my own little studio. 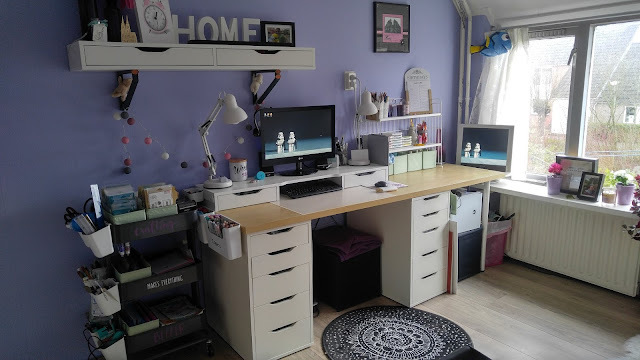 So it was quite a challenge to fit everything in this tiny space.To begin with, my room is purple and I love it. I have 4 main areas in this room. 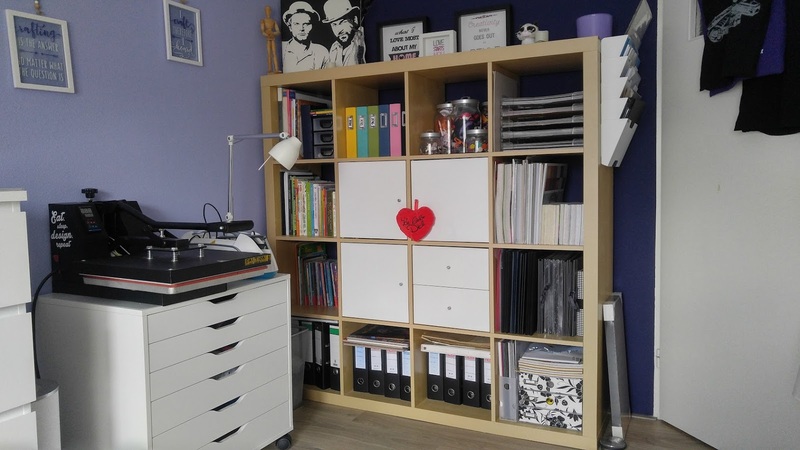 My desk and project place, the scrapbook area in the other side, and the press with some supplies and my storage unit at the third wall. My sewing machine is next door in the guest bedroom to save some precious space. 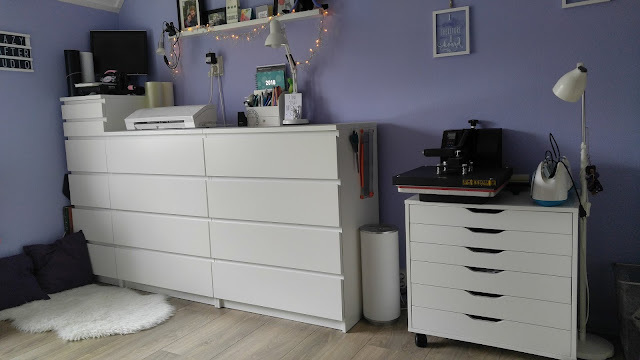 I really like my room neat and tidy, therefore I need a lot of storage space which will not look like too messy and still shows me a bit of the stuff I have.